A judge in Atlanta on Friday dismissed an emergency request by R&B singer Usher's ex-wife seeking temporary custody of their two children. 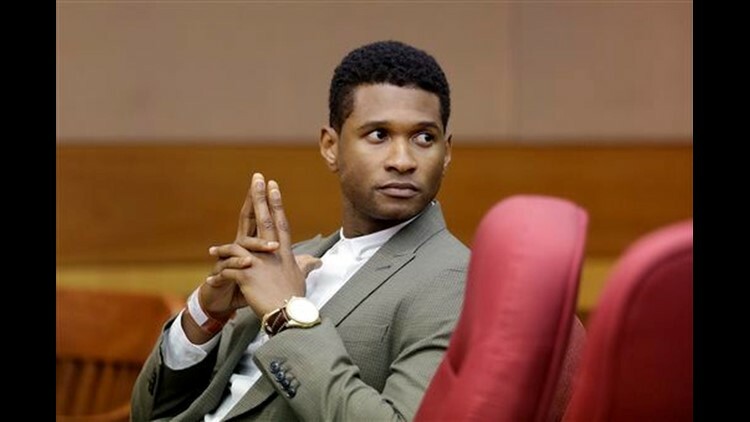 ATLANTA (AP) — A judge in Atlanta on Friday dismissed an emergency request by R&B singer Usher's ex-wife seeking temporary custody of their two children. The boy was "conscious, alert and breathing" when emergency medical workers arrived, police said. The boy was still in the hospital Friday. "They're just assessing him," Raymond told reporters outside the courthouse after the hearing. "There is a lot we don't know. I mean you can't — it's only been a few days so we're very thankful that he's obviously alive but we still have to observe him and make sure that everything is OK."
Usher left the courthouse in downtown Atlanta without speaking to reporters. Raymond, who is a hair and wardrobe stylist, was emotional during her testimony, at one point sobbing so hard that she had to step down from the witness stand to regain her composure. Raymond's lawyer Angela Kinley also attacked Usher for not calling his ex-wife to alert her of the accident until about 45 minutes after it happened. Usher testified that he wanted to try to get information about how serious it was and his son's injuries before calling her. Usher and Tameka Raymond married in 2007 and divorced two years later. They went through a lengthy child custody battle, and Usher last year was awarded primary custody of the boys, who are about a year apart in age. Associated Press video journalist Johnny Clark contributed to this report.